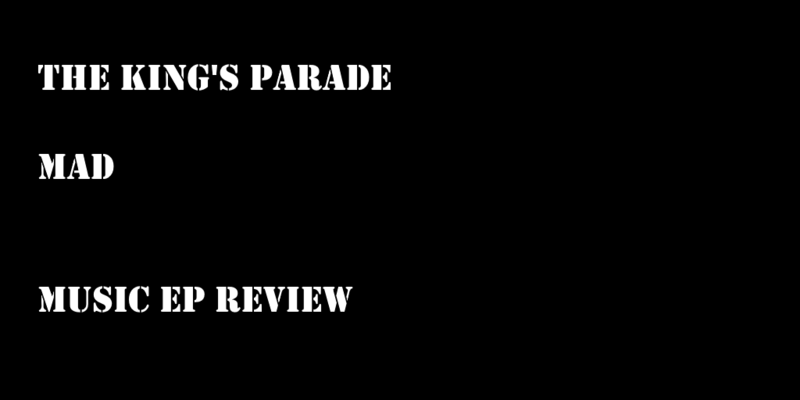 We look at the EP from London based four-piece The King’s Parade. The band recently released a couple of teasers to the EP but now the full EP is out. It time to get a little indie in our life. The band has build a brilliant live fanbase behind them, due to them completing several sold out headline tours across Europe and across the UK. If you like chilled indie music – They are hitting the road again this April (info at the bottom of this). Mad – The title track sets the tone and keeps a laid-back feel to it. Vocals with emotions and with a great tone to it. Mistakes – Continues the theme. Good changeups between the verses and the chorus with the music behind the vocals. Drums perfect. 20 – Little bit of a changeup from the chilled indie feel of the previous two. The song has a country edge to it weirdly too. It got me thinking for people chilling in a redneck bar in Southern USA. Good Excuse – A good ending song. Bringing in a relaxed tone to a bigger crescendo finish. A chill out EP to add to your collection. Vocals are terrific with the lead singer’s tone terrific. The lyrics keep you thinking but you can just drift away in a cloud of thoughts. The EP is out today!! !